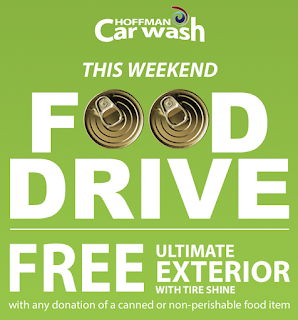 Capital Region Hoffman Car Wash: Make a Canned Food Donation and Receive a FREE Car Wash! This weekend, receive a FREE Hoffman Ultimate Exterior Car Wash and Tire Shine with any donation of a canned or non-perishable food item! If you haven't already, you can also score a FREE Hoffman's car wash when you sign up for their email list HERE.